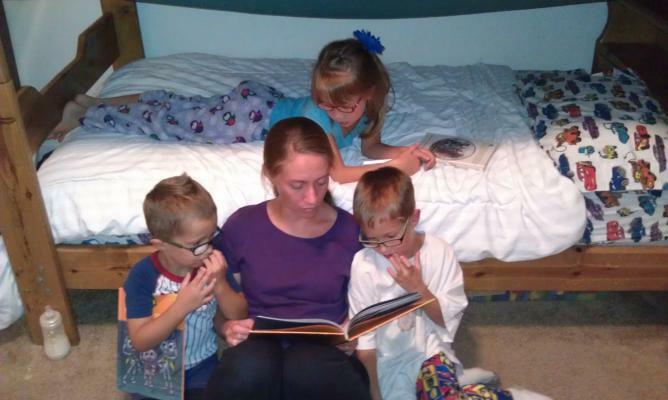 If nothing else, my kids love to read. Jesus is smiling at me! 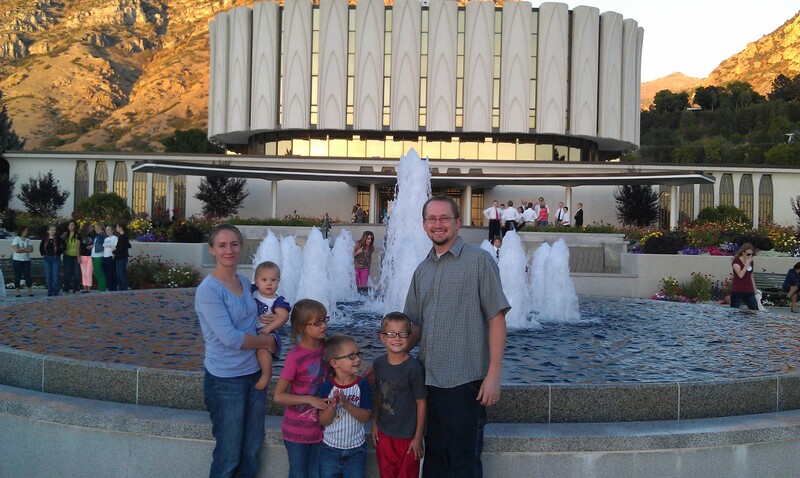 Last night Shauna and I took our kids to the Provo Temple for family home evening. It was really cool to see how excited they were to see the temple. While we were driving there Alex told us he "really wants to see the temple." We walked around the grounds and explained about it being the Lord's house and about how we should respect it and that only worthy people can go inside to keep it clean. After a few minutes William turned to us and said "Jesus is smiling at me." I was surprised at how well he described the feeling of the Holy Ghost that we felt there. It was a nice peaceful feeling and I'm glad my son could teach me a little more about how the Holy Ghost feels. Apparently eating is hard work. 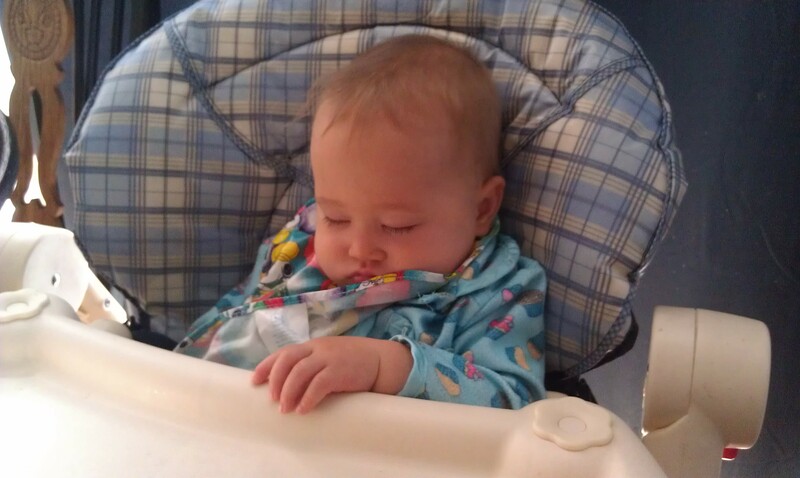 Amy finished eating breakfast and before I had a chance to get her out of her chair this is how I found her. Abby decided she wanted to learn how to program today so we started working through a basic tutorial and she actually did pretty good. It is definitely geared towards someone older than 7 and there are a number of words and things that she needs help understanding in the instructions but she made it through the first two sections in about 2 hours and decided she needed a break. I figured she might come back to it in a couple days but right after lunch she wanted to do some more. She was upset when she couldn't continue with the lessons. It's a good day to be a Geek Dad :-).